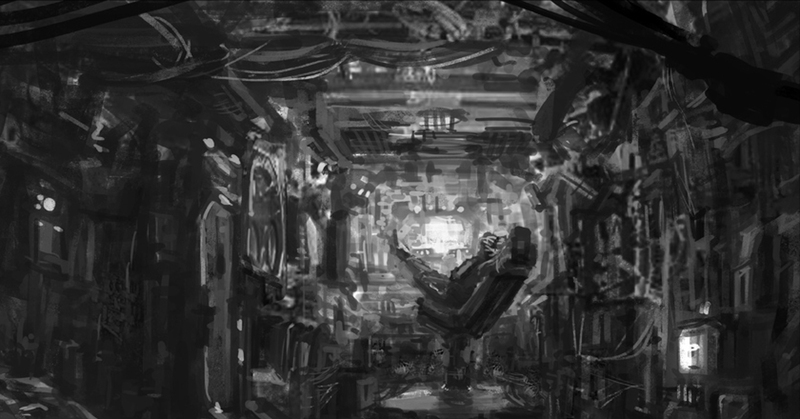 Scroll to see some maps and original concepts for Universe Eventual art. The map will give you a better idea of the layout of the Stephen’s Point colony and help you locate key places from the story. The art is just for fun. Even though none of the original artwork made it onto covers or into book interiors, it’s still an integral part of the world-building that went into the early work on Universe Eventual. 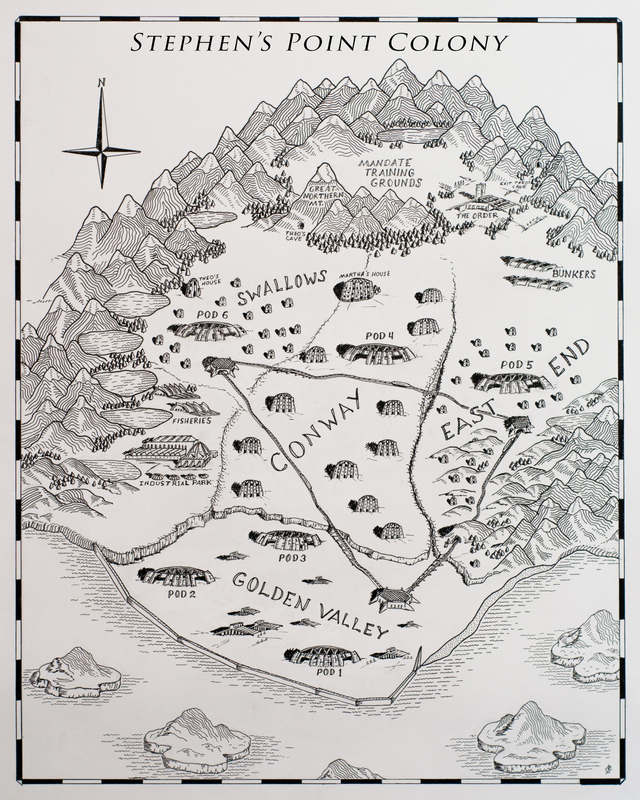 The Stephen’s Point Colony Map was created by David Schuett. Click for larger view. During early production of a Universe Eventual, several art pieces were ordered that were intended as possible cover options as well as general pieces to be used on the website and even as visual inspiration. Although none of the original pieces were used as cover art, they are still very emotive and give a dreamlike window into the world of Universe Eventual. Although rough, these sketches give some indication of the heavy, armored plating necessary for the exterior of a mining ship such as The Bee. Here’s a concept visual of Selena, kicking back in the cockpit of The Bee. This was an early visualization of Scrapyard, the loose collection of ships, businesses and homes that make up the space dock where Selena Samuelson lives. And finally, here are some quick representations of Selena, Theo, and Marcus!